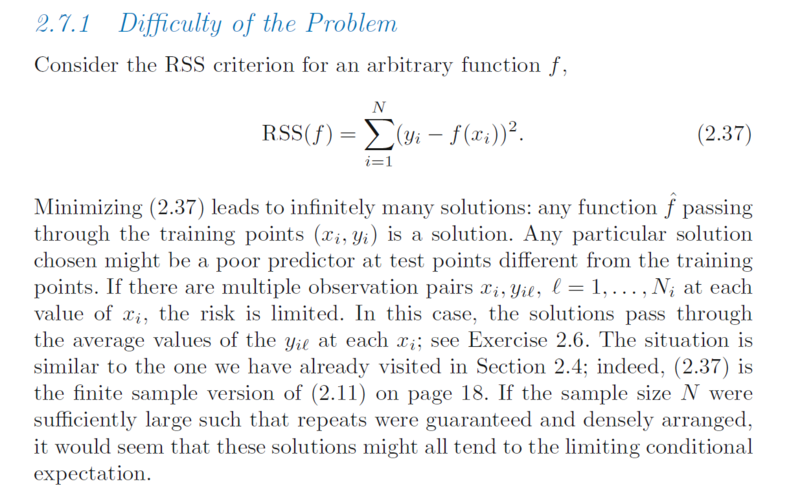 The part tells us that the RSS criterion will lead us to infinitely many solutions and in order to obtain a unique solution we need to put some restrictions on the RSS criterion. The book further discusses the following methods to impose such restrictions. Browse other questions tagged regression machine-learning self-study mathematical-statistics optimization or ask your own question. When is it appropriate to use Support Vector Regression?